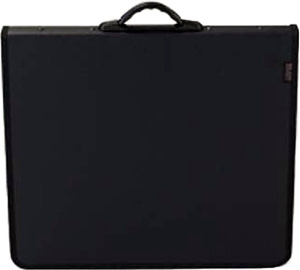 Milano Presentation cases are constructed of an embossed vinyl material laminated to a polypropylene surface, a RICH Look, yet durable and lightweight. The ten sheet protectors included are Acid-free Archival quality. Milano will always keeps shape and look. 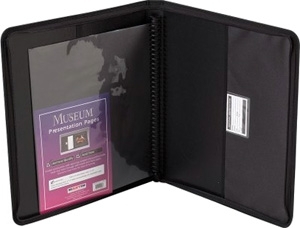 To accommodate 11x9 inch artwork, or presentations, Utilizing industry standard multi-ring design, to secure the pages. (Art supplies not included).